From only USD 202.27 per person! All of our packages include bed and breakfast accommodation, return transfers from the airport/ferry terminal to the hotel, and, of course, diving! Tanks & weights are included but equipment hire is extra (at a discounted rate). Non-diving friends & family are also welcome and can snorkel with us for free! We have packages available to suit every pocket! 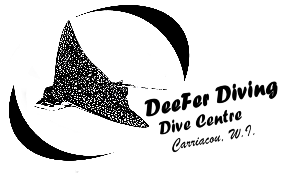 Please email info@deeferdiving.com or take a look at our Dive & Stay page for more information.